Films typically have a cohesive “look”—their scenes all fit together within the same aesthetic guidelines. While there’s a wealth of detail that goes into making that look work, color is a big part of it. Luckily, a nifty Twitter account is here to document the very specific color palettes in your favorite movie scenes. @CINEMAPALETTES has been around since July 2015, but the photography blog FStoppers pointed out its existence today. 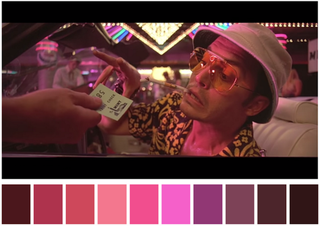 The account takes stills from movies like The Lion King, Pulp Fiction, and Fear and Loathing in Las Vegas and puts them above their corresponding color palettes. It makes for an oddly soothing viewing experience. You can find the rest of the stills here.